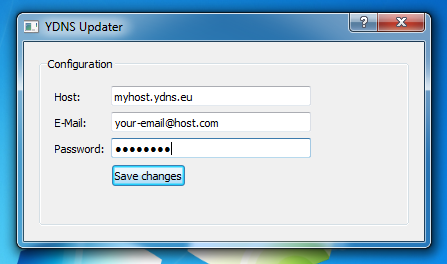 We're pleased to announce a graphical updater client dedicated to YDNS. 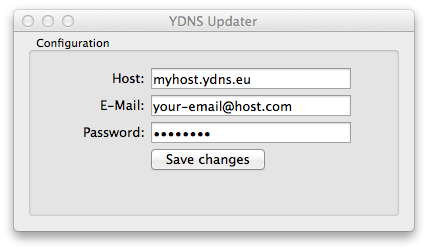 It is available for both Windows and OS X, but can be compiled for other platforms as well. The source code of the updater has been released under the MIT license. As it's in beta, please test and report bugs etc. directly to Github. If you decide to improve the source code, simply fork the repository and make a pull request for your changes. Guys, u are the BEST! i love ur service! The updater does not work for me. Any help? I can see the icon but it always says no updates has been made.